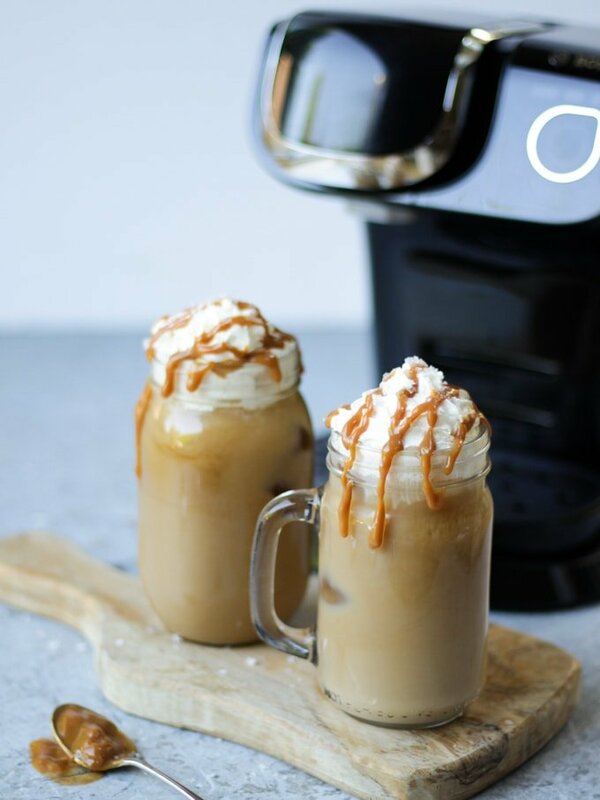 A delicious and easy to make Iced Coffee recipe with Salted Caramel. 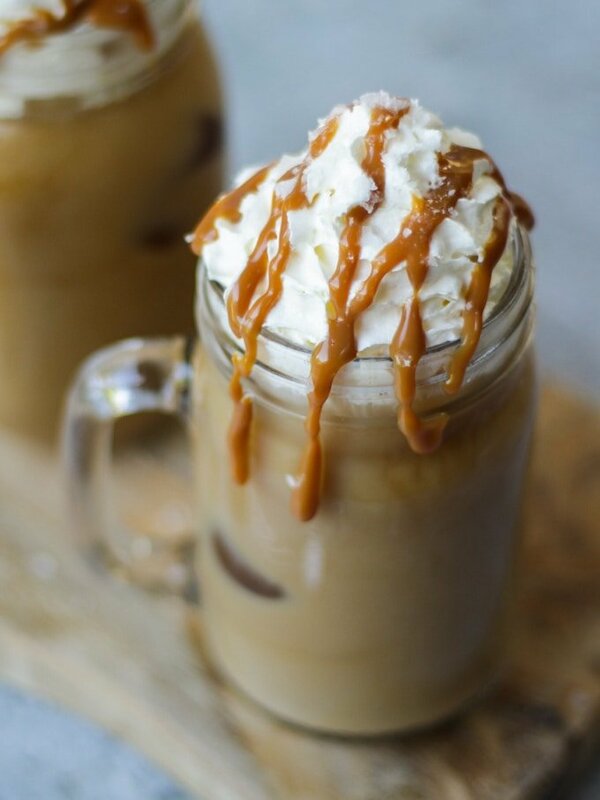 Learn how to make a homemade simple Iced Coffee drizzled with delicious caramel. This gluten free recipe is the perfect summer time drink! This post is sponsored by TASSIMO and made using one of their machines. 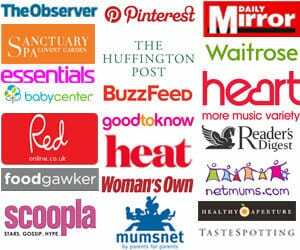 As always, thanks for supporting Taming Twins. Oh hello hottest summer any of us remember! Isn’t it just glorious? These hot hazy days have borne a new obsession for me – Iced Coffee. I love this weather, the paddling pool in the garden, the smell of suncream and the promise of barbecues for weeks ahead. The only catch is, I still need to juggle work and life whilst looking like a hot mess 99% of the time. A quick Iced Coffee in the morning has become my mum life saviour, powering me through until lunchtime. 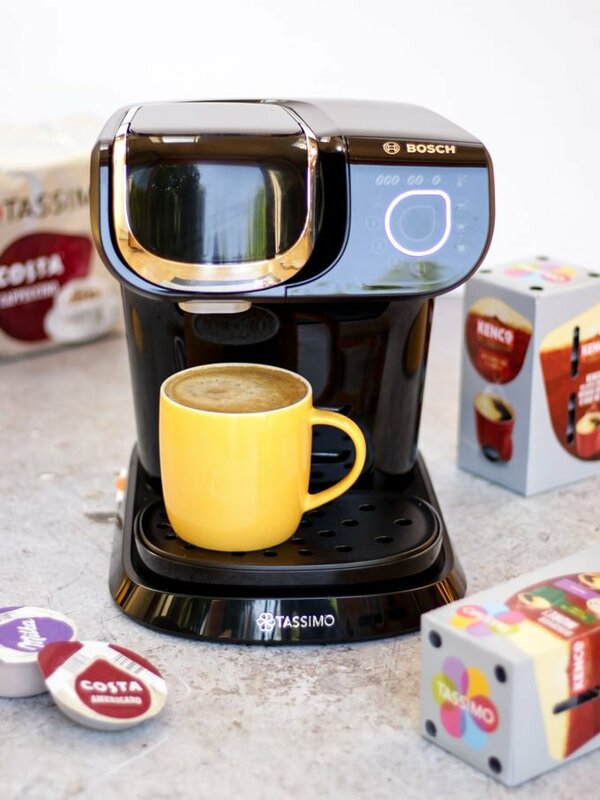 The people at TASSIMO got in touch recently and asked if I’d like to try one of their new coffee machines – the TASSIMO My Way Bosch coffee machine. This nifty little machine is small but perfectly formed. It not only looks super sleek on my work surface but it has an Intellibrew system, meaning you can personalise your coffee. Extra hot, extra strong and extra long? My morning caffeine sorted right there! 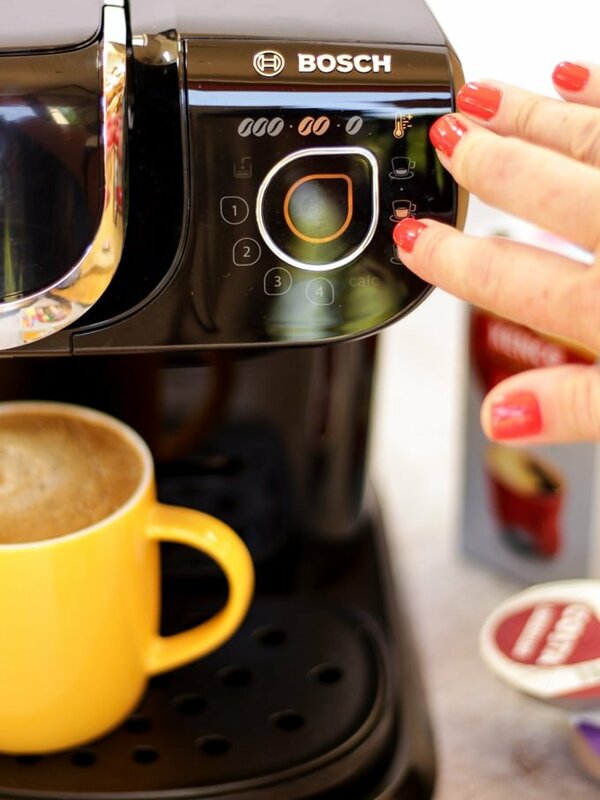 With the TASSIMO My Way brewer, once you’ve personalised your coffee settings, you can save them to your own profile. Up to four people can have their preferences stored, ready to make their favourite drink at the touch of a button. Such a handy idea for busy mornings when you’re in a hurry (which is most mornings here). We’ve tested out the TASSIMO My Way brewer for a couple of weeks now and my most favourite thing about it is the quality and variety of the drinks available. 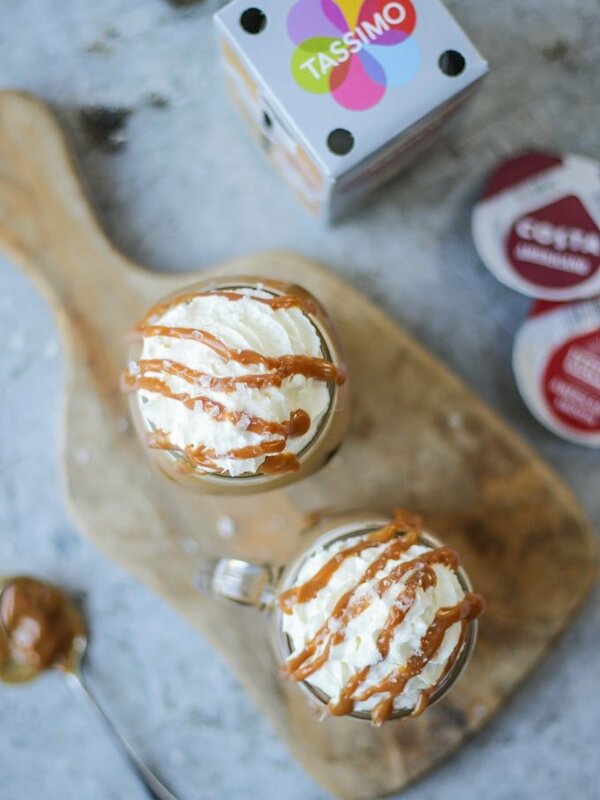 George and Harri LOVE the Milka Hot Chocolate pods, meanwhile I’ve been enjoying the taste of Costa at home. It’s a real treat to feel that you’re having a version of your favourite coffee shop drink at home, at the touch of one, Intellibrew, button. And of course, I’ve been using the machine to make Iced Coffee. It works so well with this machine, as I can adjust the coffee brew to be a lower temperature, and higher strength. Making it perfect for cooling it quickly. Here’s how to make your own Salted Caramel Iced Coffee. How do you make an Iced Coffee at home? 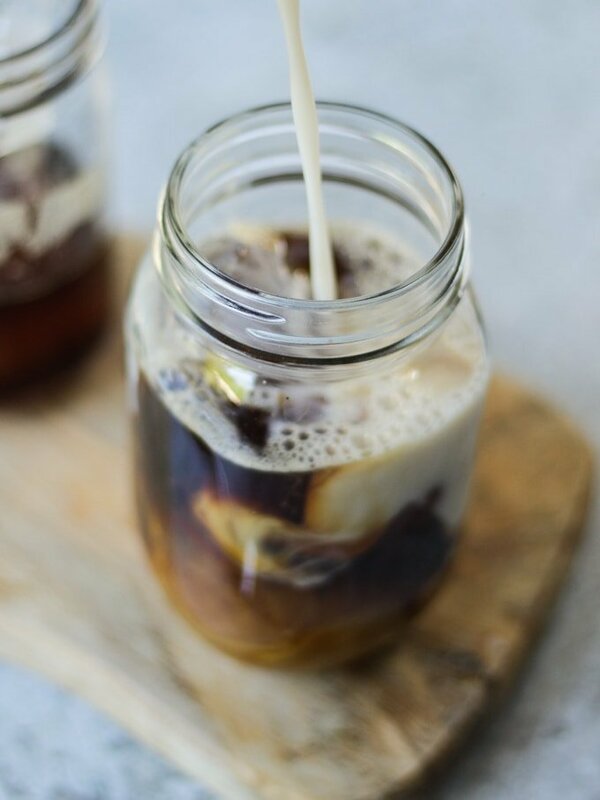 The easiest way of making Iced Coffee at home is using brewed coffee that has gone cold, adding ice, milk and either syrup or other flavourings. How to brew coffee to make an Iced Coffee? I’ve obviously used coffee fresh brewed in my TASSIMO coffee machine, if you don’t have a machine, you can use instant. Of course your Iced Coffee will only be as tasty as the coffee you use though so choose well! Can I just put ice in my coffee to make Iced Coffee? Yes! If you don’t want to water your coffee down, you can also make coffee ice cubes by freezing them in advance. 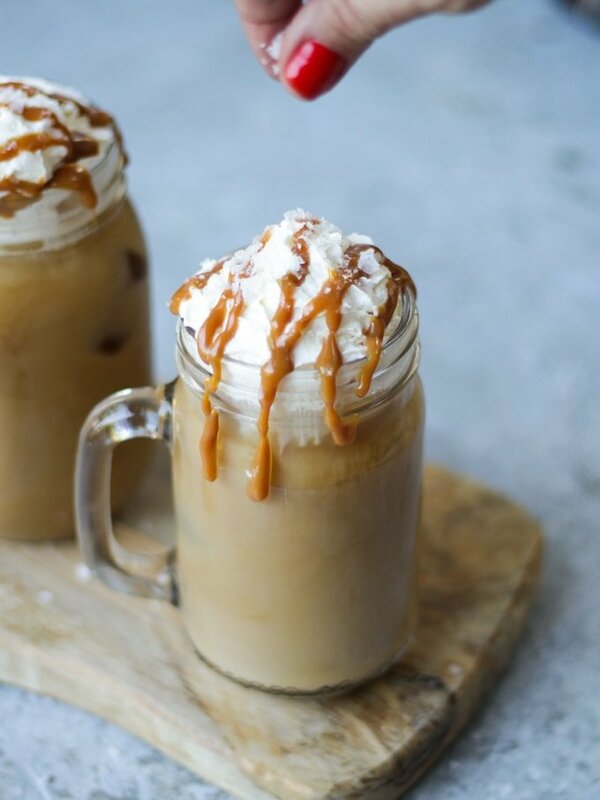 How do you make Iced Coffee Frappe? 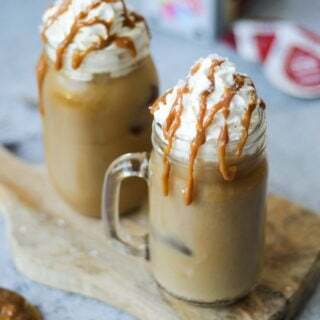 Follow the recipe as below and then just blend in a blender or food processor until the ice is finely crushed with everything else for an Iced Coffee Frappe. You can use any type of caramel sauce. I like this Carnation Caramel which is available from most supermarkets. The Carnation Caramel has a great flavour, but can be too thick to drizzle. If you like, you can warm it in a microwave or small saucepan for a few seconds to make it more runny before using. If you prefer, you could use a sugar free caramel syrup like this one: Monin Sugar Free Syrup on Amazon. Be sure to use good quality sea salt flakes. If you don’t want to water your coffee down, you can also make coffee ice cubes by freezing them in advance. Feel free to leave off the cream if you’d prefer. Fancy some other ways to use coffee ? How about my Tiramisu Cake recipe? Hope you enjoy this recipe as much as we do. 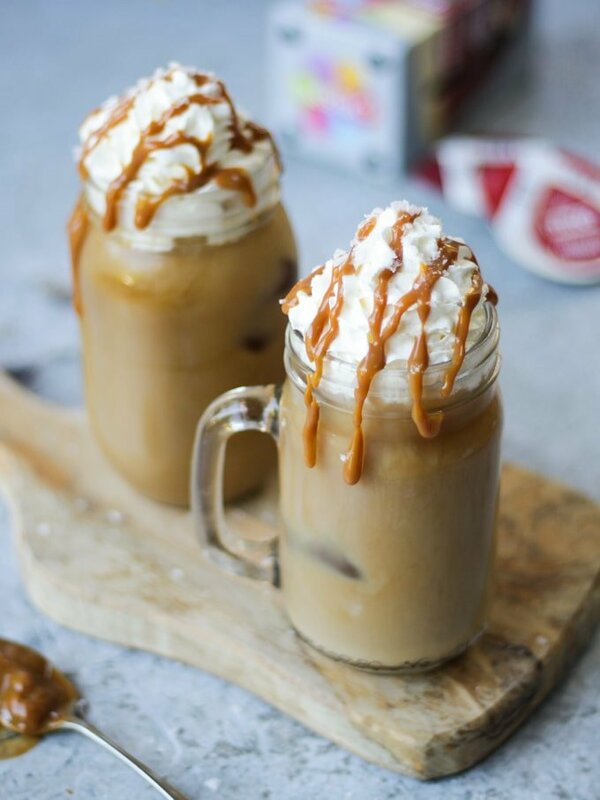 I’d love to know how you got on and what you thought of it if you make this Salted Caramel Iced Coffee recipe. Please rate the recipe and leave me a comment below if you do. Put the caramel and a pinch of salt into a mug and brew your coffee on top. Allow to cool. Fill a mug with ice and pour over the coffee, followed by the milk. Add cream, more caramel sauce and a pinch of sea salt to serve.